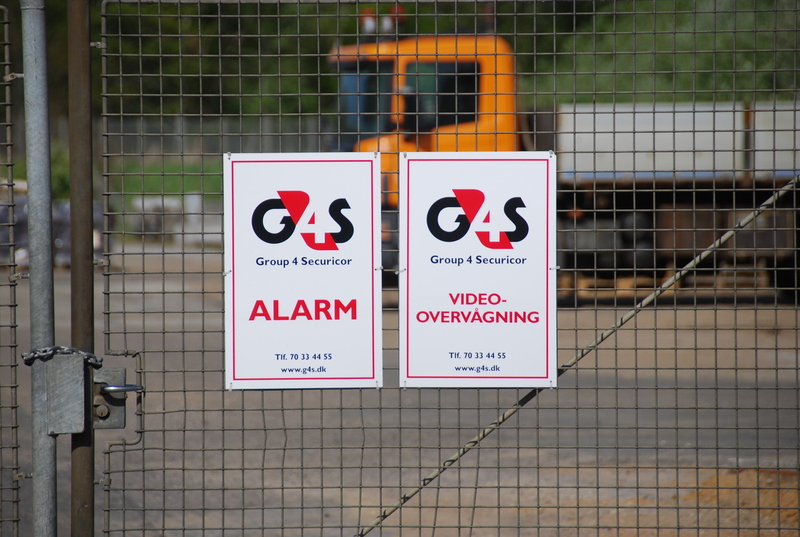 G4S – coming to a police station near you. Would you trust a private company as much as you would a police force to protect you? Would you believe they follow the same ethical standards and probity? Would they train and pay their staff properly? You could be about to find out as the West Midlands and Surrey police forces start to contract out service provision. I have just completed a report for Unite the union on some of the companies bidding for £1.5 billion of work with the backing of Theresa May, the Home Secretary. If you link to http://bit.ly/KGVE7I and download the report you can see my findings on some of the bidders. A lot are covering up a load of dark secrets and unethical and immoral practices outside the UK. If don’t care a damn what happens to Palestinian prisoners on the West Bank in Israel or can’t be bothered that US troops breathe in toxic fumes from burn pits in Kabul or that companies use tax havens to avoid paying out medicare to staff, then you won’t mind what happens to your local police force in Birmingham or Guildford. Take G4S for example. they have had to admit in their annual report that the need to train people to understand human rights. Evidently their Israeli subsidiary staff prisons where they practised torture on their Palestinian inmates. And if you are working in Britain, no prob that the company has axed its final salary scheme for all its employees while lining up a £403,000 a year non contributory pension for its chief executive.when he reaches the ripe young age of 60. Or that former London police chief,Lord Condon is getting £123,000 plus a year plus his allowances in the House of Lords to promote police privatisation and rubber stamp top salary deals for his fellow directors. Take another company KVR, best known for building Guantanamo Bay. Not quite as well-known for making sure its 21,000 staff in Iraq need not be covered by Medicare by using a Cayman Island tax haven to avoid having to provide it..
Or in blatant disregard to health and safety they face legal action for burning toxic materials in open tips on US bases in Kabul. So what if troops die from cancer, they are lucky not to be shot by the Taliban instead. And then they are two home-grown companies. Blue Star, which provided two weeks training for auxiliary firefighters to protect your homes in London, in case the Fire Brigades Union goes out on strike. And finally Reliance, run by Tory donating Brian Kingham – nice £6m house in Carlyle Square in Chelsea – finances his company through a rather interesting family trust – not tax avoiding again, surely not? Obviously we are going to have a wonderful new era with privatisation – as we ditch ethics for profits. This entry was posted in police, town hall, Uncategorized, Whitehall and tagged G4S, police, private security, privatisation, Reliance. Bookmark the permalink. Get a grip David, police forces are already private companies, that’s why they are listed on what used to be the Dunn and Bradstreet site, all government bodies are basically “For profit” corporations. Check out John Harris’ It’s an Illusion” video on BBC5 TV for all the info. Councils even MP’s are listed as companies. Just wait till privatised police get hold of the speeding fine and other motoring offences honey pot, OMG!! lol. NOT!! ” Sean M. Healey was appointed chairman [of Affiliated Managers Group] in October 2010, served as president and CEO since May 2001 and in other senior management positions since 1995………..
AND WHO CONTROLS GOLDMAN SACHS ? GOLDMAN SACHS IS CONNECTED WITH WARREN BUFFET A FRIEND OF JACOB ROTHSCHILD AND EVELYN DE ROTHSCHILD. Warren Buffet, chairman of Berkshire Hathaway, ” agreed to purchase $5 billion in Goldman’s preferred stock “. This is a very interesting contribution as it shows that G4S’s major shareholder is only interested in maximising profit not in providing services. From what I can see the information is accurate.